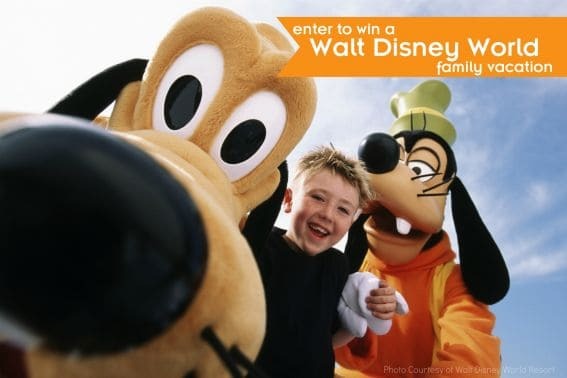 Disney Week: Win a Family Vacation at Walt Disney World! Congratulations to winning entry 6851, Darby. Thanks to everyone who entered! Have you heard? 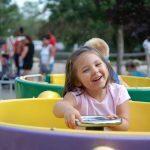 It’s Disney Week on Trekaroo! We’re kicking off the week by giving you an opportunity to win a family vacation at Walt Disney World in Florida (enter below). But there’s more magic! We’re also giving away a family vacation to Disneyland Resorts in California and we’re offering Disney Rewards to Disney fans who love raving about their favorite Disney rides, shows, experiences and hotels. What is the best ride at Disney World? Which character breakfast was the highlight of your family’s Disney vacation? Those of us who have had the pleasure of vacationing at Disney World have our opinions and finally, we have a place to share them! Trekaroo is thrilled to announce the launch of our brand new Walt Disney World Resort Review Guide which will allow Disney enthusiasts to review every single ride, attractions, restaurant, and hotel inside Walt Disney World Resort. Never before have parents had a place to share their reviews of everything that Disney World has to offer. I know! We’re excited too! 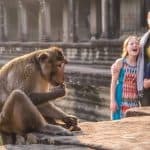 We know this guide will become a fun place for parents to share their Disney expertise and the resulting reviews will become a great resource to those planning their own Disney vacations for the first (or second, or third or fourth…) time. 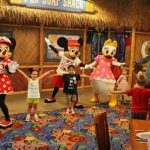 In celebration of all this wonderful Disney knowledge we will all be sharing with one another ( I am eager to hear which Epcot restaurant my family should visit next), we decided to give away some Disney World fun. One lucky family will enjoy three nights in Orlando and three days park hopping to their hearts delight! 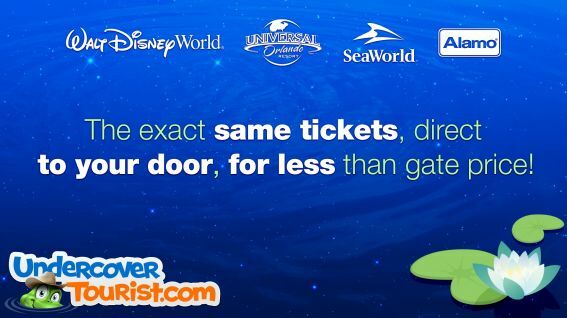 The family who wins this Walt Disney World Giveaway will have a great time hopping from park to park with their 3-day Walt Disney World tickets provided by our sponsor Undercover Tourist. When you are ready to buy your Disney World tickets, be sure to visit Undercover Tourist. 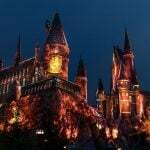 As a licensed ticket reseller for all Orlando theme parks and attractions, you can snag some great deals, helpful tips, and all-inclusive packages. With five Orlando area hotels to choose from, DoubleTree by Hilton hotels offer families incredible value, diverse options, and, of course, their signature melt-in-your-mouth chocolate chip cookies at check in! Whether you want to stay downtown, close to the airport, or in an all-suite resort right in the middle of Downtown Disney, DoubleTree has you covered. Families can start their mornings by fueling up with a delicious on-site breakfast before hitting the parks and then head back at day’s end to sleep that Disney exhaustion away in those famous Sweet Dreams beds. If things get too hot in the midday Florida heat, don’t forget the sparkling pool is always waiting for you! Been to Disney World? We want to hear from you!! 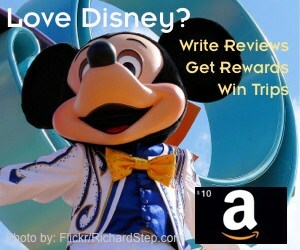 For a limited time, you’ll receive a $10 amazon.com gift card for writing 10 Disney reviews! PLUS – your Disney reviews can also be applied towards bonus entries to win this giveaway! 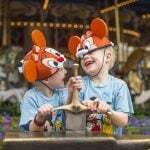 You can get unlimited bonus entries by writing reviews to win this Disney vacation. For all the details on this program, head here. 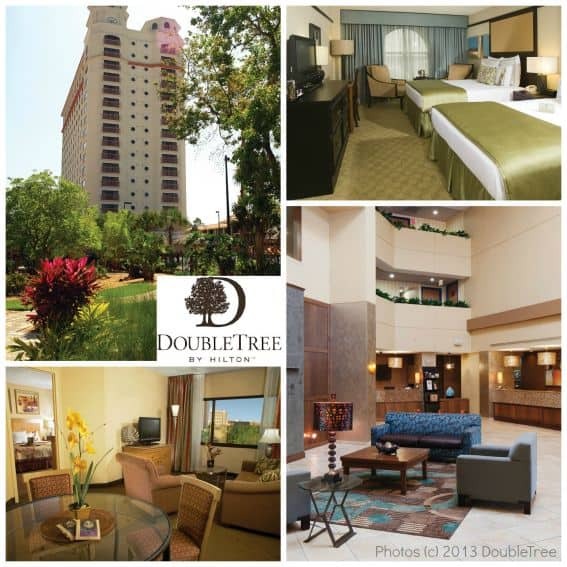 -3 Be My Guest (BMG) cards valid for 3 nights of lodging at any DoubleTree Hotel in the Orlando area. -THIS CONTEST IS NOW OVER- Congratulations to winning entry 6851, Darby. Thanks to everyone who entered! Each BMG card (3 in prize) is good for a one-night stay in a standard room at any DoubleTree by Hilton property. But in keeping with Disney Week, we want to encourage winners to stay at one of the DoubleTree by Hilton properties in the Orlando area. Standard room can fit four people with two double beds. 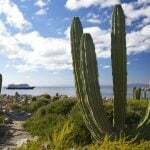 There are no blackout dates for lodging; subject to hotel availability. BMG cards expire April 30, 2014. Entry Period: March 18, 2013 at 12:01 AM PST to March 31, 2013 11:59 PM PST. Love Disney World, want to take the kids to see the New Fantasyland. I hope we win we want to take the kids back to disney so bad! We’re big Disney fans in our house! Ready to go back and check out the new Fantasyland things! Hoping to get my kids there before they lose the Magic of it all. i hope i get it :)my family would love it!! what a great giveaway! perfect for any family! thanks so much! My family LOVES Disney and this trip would be a dream. Thank you! What an amazing giveaway! Trekaroo is the best! The trip sounds like so much fun! My kids love going to Disney World! What an amazing giveaway! I’d love to win! We’ve been dreaming of taking our two girls to Disney this year! They have yet to go and Senna’s never been on a plane yet… imagine the surprise on their faces! Would love to win the trip. The Boardwalk Resort is fantastic and nostalgic! A must see for every family member! I want to see the new Fantasyland!!!! We love all things Disney – especially the Animal Kingdom Lodge! I adore Disney and would love to take my kids there! Our favorite place!!! Can’t wait to go back to see the new Fantasyland! So glad I found this program! What a great opportunity you’ve given our family! thanks! We <3 Disney! Would love to check out the new Fantasyland! Have never been to Disney. 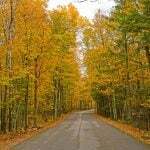 Would love to go sometime. Heads and shoulders above all other family theme parks! Would love to win a trip to Disney. 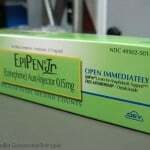 Between family emergencies, and committments, and new baby on the way out life gets really hetic. i coudl so use a Disney Vacation right now to destress and just enjoythemagic of Disney. 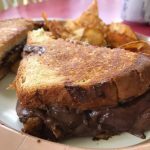 I reviewed tonys town square restaurant! I reviewed Coral Reef Restaurant! Fingers crossed!!! Ears crossed:) Hope we win! Walt Disney World would be the BOMB to go to!!! We are in the process of confirming the winner. Please stay tuned. Thanks!